During the late 1940's Monsignor Walter E. Croarkin, pastor of St. Agnes parish in Chicago Heights, conceived the idea of a central Catholic high school which would be co-educational and serve the Catholic families of Chicago Heights as well as the Catholic families of Flossmoor, Homewood, Park Forest, Glenwood, Steger, Hazel Crest, and Matteson. In 1949, Msgr. Croarkin wrote Samuel Cardinal Stritch, then Archbishop of Chicago, and asked for permission to begin such an undertaking. In the fall of 1949, with the permission of Cardinal Stritch, Msgr. Croarkin purchased land and spearheaded a building fund campaign to raise $500,000 which was to be one-half of the total amount projected for this high school. Letters on file indicate the efforts of Msgr. Croarkin to make the school a total community project. To this end, he received assistance not only from Catholics, but from people of all faiths. It was anticipated that the religious community who was to staff the school would be responsible for adding an equal amount. Although pledges were still being paid, sufficient financial backing existed by 1951 to engage R. L. Ignelzi, a Chicago Heights architect, to draw up plans for a school building. Cardinal Stritch felt that a co-institutional educational center should be the goal for the area. Ignelzi drew plans for a girl's school which would be temporarily co-educational, opening with a freshman class of boys and girls and adding a like class each year. The separate school for boys would be built on adjoining archdiocesan land in about four years when the enrollment would probably reach 900 students. When the community of Sisters who were to have assumed the responsibility for the school decided against it, the Dominican Sisters of Springfield, Illinois, were one of several Orders approached about staffing the school. In 1955, the Dominican Sisters agreed to accept the staffing responsibility. Since the total cost of the building was now almost double the anticipated amount, it was agreed by all that the Archdiocese, area Catholics, and the Dominican Sisters would each supply about one-third of the total cost. On January 6, 1957, ground breaking took place for the original building. Under the direction of Cardinal Stritch and the supervision of Msgr. Croarkin, the $1,400,000 building was begun. 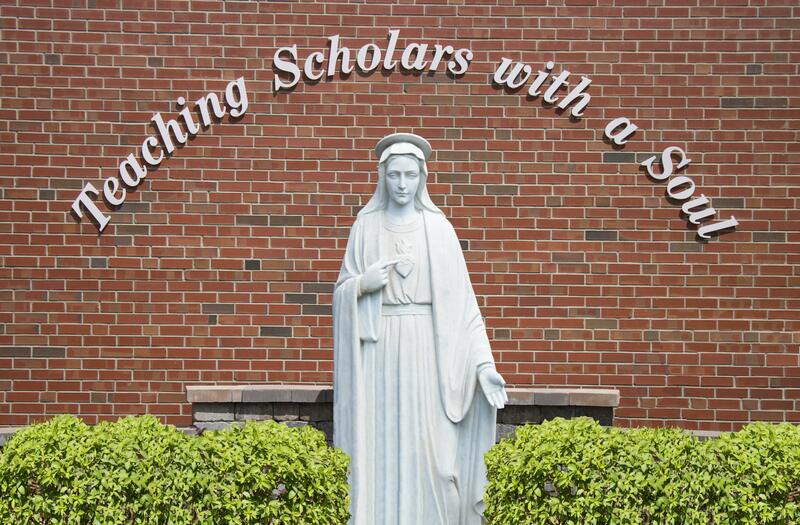 The school built for 500 students on one-half of the land was named MARIAN by Msgr. Croarkin because of his devotion to the Immaculate Heart of Mary. Marian Catholic High School opened under the principalship of Sister Mary Mannes Kern, O. P. in September of 1958 with a class of 205 freshmen, a total staff of ten and a tuition of $150 a year. On January 11, 1959, Marian was dedicated by Archbishop Albert G. Meyer, who had succeeded Cardinal Stritch. The fall of 1959 saw the second class of 265 freshmen begin education at Marian, bringing the total enrollment of freshmen and sophomores to 465 students. During the first three years of the school, the Dominican Sisters' staff grew from the original six to eighteen Sisters. The convent in Homewood which belonged to the Archdiocese that housed the Sisters for three years could no longer accommodate the enlarged staff. For this reason and because the enrollment was growing faster than was anticipated, the Archdiocese was again involved in building on the Marian grounds. In September of 1961, the premier class of 165 seniors welcomed 450 freshmen to a building which now included enlarged second and third wings housing laboratories and eleven classrooms. A convent for forty Sisters was also added at the expense of the Dominican Sisters. In just four years, the enrollment at Marian grew to 1,100 students, 300 more than had been projected. Although the original plan had called for the separate boys' school to be built at this juncture, no school was built. During these years several priests were hired to teach at Marian until the boys' school could be built on adjoining property. However, the Archdiocese was encountering great difficulty finding a religious community of men who would be willing to assume the financial and staffing responsibilities of the separate boys' school. Thus, Marian continued to be a co-educational school of 1,100 students housed in a building designed for 400 girls. By September of 1963, Marian had an enrollment of 1,200 and a teaching staff of 43, including 14 laymen and women. Because of a pressing need for space due to the increase in enrollment and an expansion of the curriculum, four mobile classrooms were purchased from the Archdiocese. It was anticipated that they would be used for the two or three-year period before the boys' school would be built or additional classrooms constructed. Neither of these things had occurred by September 1966, when Sister Mary Antonette Feldhake, O. P., assumed principalship of Marian. As it became apparent that it would be impossible to obtain a community of men who would sponsor the boys' high school, a decision had to be made. Late in 1970, an agreement between the Dominican Sisters and the Archdiocese of Chicago was reached. The agreement stated that if Marian, then with an enrollment of over 1400, would remain a co-educational school, a $1,000.000 addition would be built through a Project Renewal Grant. This would end the use of the mobiles and provide for classrooms, band and choral rooms, a guidance area, and a theater. Work began on the addition in the fall of 1971, and by September of 1972 Croarkin Theater was in use. However, the full complement of classrooms was not built because the Archdiocese was unable to honor the total grant. Mobile units continued to be needed as classrooms. During the summer of 1975, Sister Mary Alberta Lawless, O.P., assumed the principalship of Marian with a student enrollment of 1400 and a staff of 65. During the summer 1979, the gymnasium and both boys' and girls' locker rooms were remodeled with monies raised by the students themselves. With an enrollment of more than 1,450 students, deterioration of the mobile units, Brejcha Architects of Homewood was chosen to design an addition to be funded by the Dominican Sisters. In the spring of 1983, ground was broken for a multi-phased program of expansion and renovation to provide for both building and ground improvements. Constructed in January of 1984, the building project gave Marian a two-room computer center, four new classrooms, expanded library and improved art and music facilities. The grounds work saw the enlargement of the parking area, the building of a school football field and track, and the improvement of athletic practice fields. In the summer of 1983, the 25th Anniversary of the opening of Marian, Sr. Judith Anne Hasse, O.P., became the fourth principal of Marian. The Silver Celebration of the school culminated in a Mass of Thanksgiving and the blessing of the new addition by Joseph Cardinal Bernardin. In September of 1984, the U.S. Department of Education recognized Marian as an Exemplary Private School. The award was presented in Washington, D.C.
During the 1985-1986 school year, Marian was accredited for the first time by the North Central Association of Colleges and Schools. 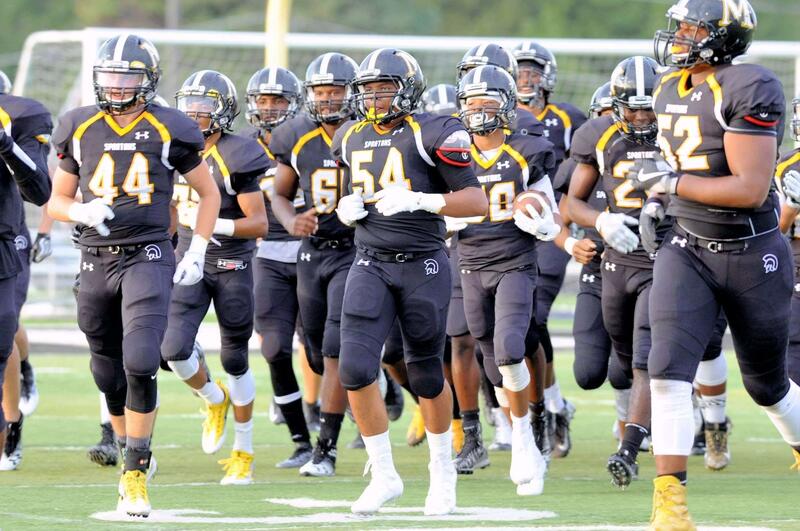 The new construction of Spartan Stadium allowed Marian Catholic High School to host athletic events at home. Sr. M. Paul McCaughey, O.P, a Marian graduate, became the fifth principal and first president of Marian in the summer of 1992. With the assistance of the Advisory Board, action was taken to focus Marian for the millenium. An extensive long range study for Marian Catholic involving over 300 persons, led to the development of a "CASE" statement for Marian Catholic and a 3.5 million dollar capital campaign, Partnership 2000. The Dominican Sisters' gift of their chapel and part of the convent allowed the renovation of the chapel for student use in 1994 and a new Guidance and College Center in the Fall of 1995. Marian celebrated a second Blue Ribbon in 1995-1996 and broke ground for a new Band Room and gymnasium in June 1996. The Band Room was blessed in June, 1997; the West Gym in December, 1997. The endowment for student scholarships, begun in a modest way in the 1980s through the Golf Endowment Classic, increased tenfold. Marian Catholic's fortieth year was marked by an all-community celebration in 1998. That same year, the Board moved forward with initiatives to enhance Marian's academic and spiritual mission. The fourth wing was gutted and science labs upgraded, including a new master science lab. Both the lab initiative and the addition of a new Campus Ministry Center were completed in the fall of 1999. In 2000, three major initiatives were undertaken: wireless technology was incorporated into the fiberoptic networks; the purchase of the remaining original property (13.3 acres) from the Archdiocese allowed for the groundbreaking of four practice fields, a band practice area, softball field, fitness trail, and concession and storage buildings to be ready for full use in 2002. Finally, the Board approved an aggressive building program to accommodate Marian's 1650 students: eight classrooms and a teachers' center to be completed on August 15, 2001, the Marian feast of the Assumption. The summer of 2001 also saw a change in Marian Catholic's administrative structure as Sr. Mary Joan Sorge, O.P., began her tenure as the sixth principal of Marian and Sr. M. Paul became the full-time president to serve Marian's 1672 students and 134 staff members. Dominican Way, a 1.9 million dollar eight-classroom addition with a teacher resource center, designed by Christopher O'Brien and built by Pepper Construction was dedicated by auxiliary Bishop George Perry on April 27, 2002. Plans were made to repay the construction loan in three years, concurrently AIM (Athletic Initiative Marian) to fund campus improvements was launched as a five-year project. Sr. M. Paul resumed both titles in 2003-04 and Sr. Kathleen Anne Tait, O.P. served as Marian's seventh principal beginning with the 2004-05 school-year. Under her leadership, Marian Catholic's teachers and staff began to implement the plan internally including: an ambitious curriculum design study, integration of technology including on-line grades access for parents, a commitment to an anti-racist structure, and the strengthening of an already exceptional College Counseling Program. At the same time, the leadership program was copyrighted and piloted with the assistance of an external team of experts (Founding Council) and a steering committee of faculty. The construction of the 500 seat Marian Catholic Leadership Center (blessed by Chaplain Father William O'Mara on September 9, 2007) provided impetus to a series of summer 2007 projects flowing from the "Courage to Lead" plan, notably the creation of a shell for a new weight room, the addition of a science lab, the remodeling of the old cafeteria into a central study hall, and the reconfiguration of main office area for security and convenience. The summer of 2008, prior to Marian Catholic's celebration of its 50th anniversary, Sr. M. Paul McCaughey ended her term of leadership to become the Superintendent of Schools of the Archdiocese of Chicago. Sr. Judine Hilbing, O. P. became Marian Catholic's second president in July of 2008. During the summer a new artificial turf football field was installed in Spartan Stadium, opening the way for extended use for all athletics and the band program. 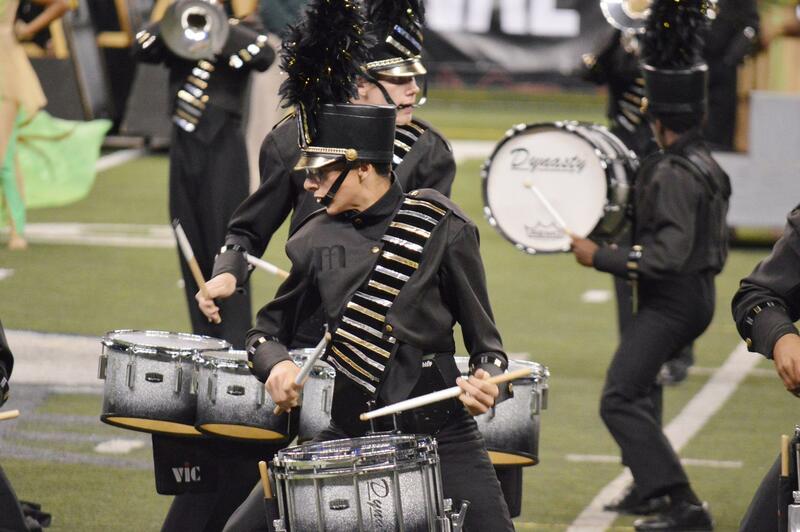 Marian Catholic's 50th anniversary year kicked off with a community celebration the weekend of September 5th & 6th. The celebration included alumni and faculty reunions, a family carnival in the Spartan Stadium area of campus, the blessing of Gierczyk Courtyard and the donor wall for the Courage to Lead campaign, which concluded successfully with 6.33 million dollars being donated. Evening festivities began with a Eucharistic Liturgy celebrated by Francis Cardinal George, O.M.I., and continued with dinner for all in the Leadership Center and tours of the campus. The 2008-09 school year brought the installation of a new sound system to Croarkin Theater, new lighting in the east gym hall & faculty room off the main office. The Marian Catholic anti-racism team was also established to guide Marian Catholic's efforts for racial justice. The 50th anniversary year was closed with a 50th Anniversary Gala at the School of the Art Institute Ballroom, and the establishment of the Dominican Pillar awards. Sr. Mary Paul McCaughey, O.P., former president and principal, was honored by placing her name on the Marian Catholic Leadership Center. The 2009-10 school year began a transition in governance structure to a Board of Directors, with reserved powers held by the Dominican Sister's Member Board. The transition continues the strong association with Marian Catholic stakeholders and the stakeholder's ownership of the Mission. In 2011, the computer lab was renovated; and, in 2012, a sound stage was installed in the technology media center. Also in 2012, the library was refurbished and the Altman Memorial Garden was created. 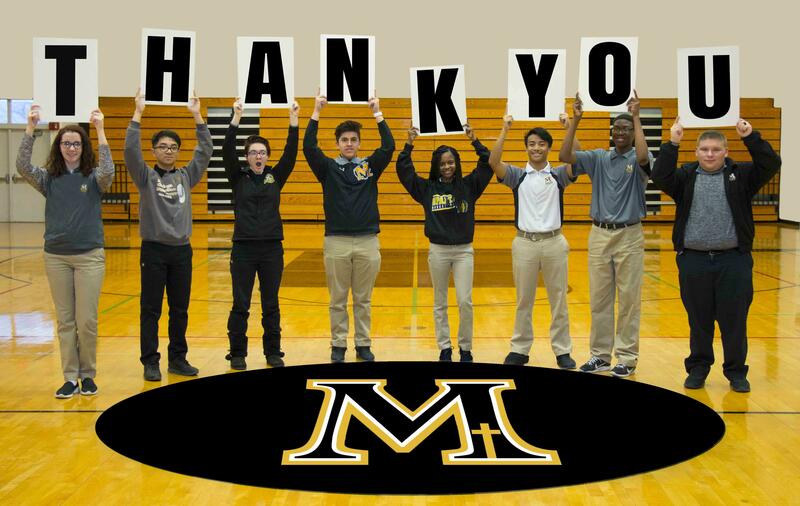 Marian Catholic upgraded its wireless infrastructure in 2013 to support a one-one iPad initiative. Students now have individual iPads which enhance the learning environment by expanding the walls of the classroom. The 2013-2014 year saw Marian engage in Strategic Planning to develop 2020 Vision, Next Generation Leaders to guide the school through 2020. 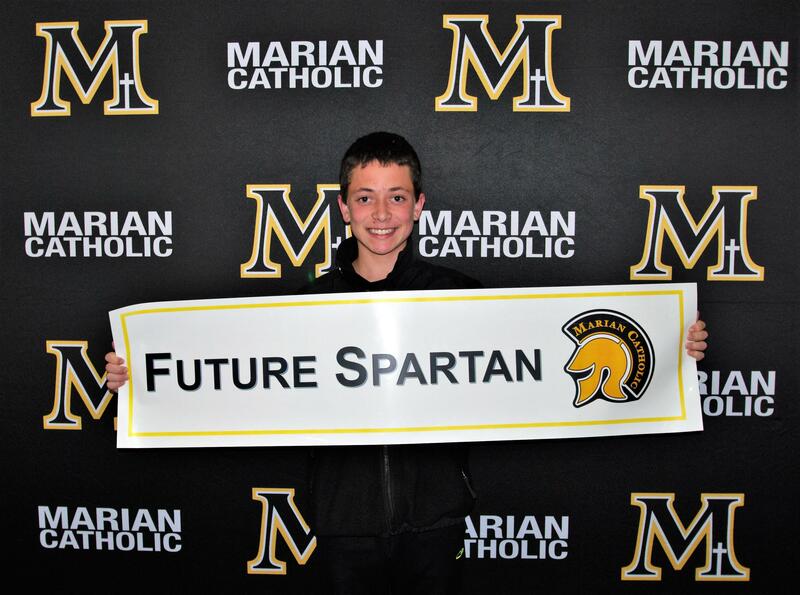 In 2014, Marian Catholic was Recognized by St. James Health Care with the Franciscan Service Pillar Award. In July of 2014, Sr. Kathleen Anne Tait ended her term as Principal to return to Springfield and begin the role of Director of Mission Advancement for the Springfield Dominican Sisters. 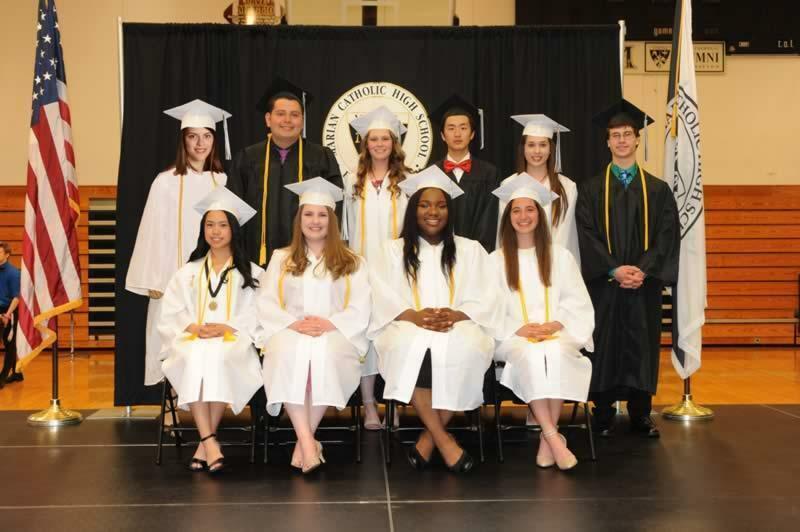 Mr. Steve Tortorello '04 became the first lay Principal beginning with the 2014-2015 school year. In July of 2016, Sr. Judine Hilbing ended her term as President and assumed the role of Marian Catholic’s Director of Scholarships and Tuition Assistance. Mr. Vince Krydynski ’81 became the first lay President effective with the 2016-2017 school year. 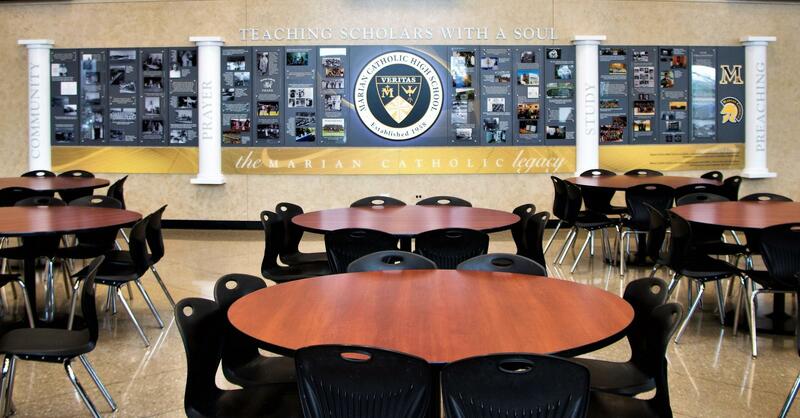 During the 2017-2018 school year Marian Catholic worked to refine and update our Strategic Plan in preparation of celebrating 60 years of “Teaching Scholars with a Soul” throughout the 2018-2019 school year. 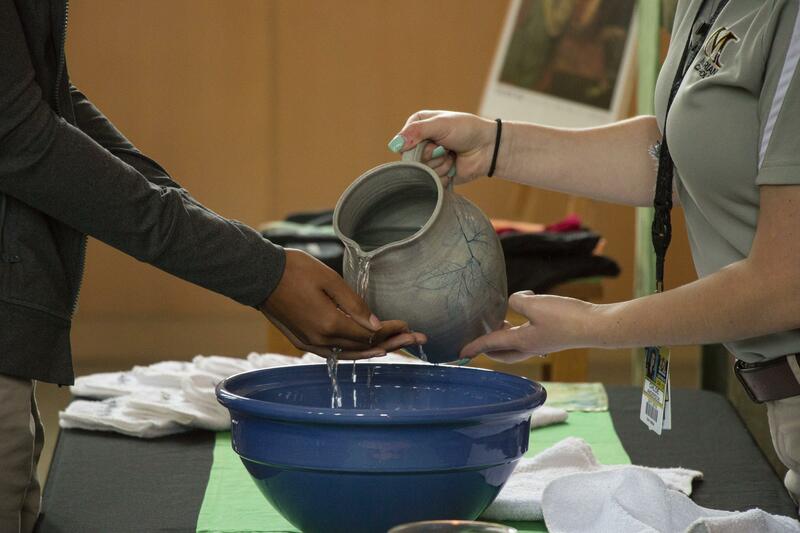 The commemorative year was celebrated with a special community Mass on December 12, the Feast of Our Lady of Guadalupe, and culminated with Veritas III and the unveiling of a new legacy display in the Sister M. Paul McCaughey, OP Leadership Center. The display recognizes and gives thanks to all those who have sought the Truth and “set the world on fire” through the pulpit of their lives as we look forward to the next 60 years.